The benefits of honey go beyond its great taste. It is a great natural source of carbohydrates which provide strength and energy to our bodies. The glucose in honey is absorbed by the body quickly and gives an immediate energy boost, while the fructose is absorbed more slowly providing lasting energy. It is known that honey has also been found to keep levels of blood sugar fairly constant compared to other types of sugar. The following are reasons why honey is good for your body and mind. 1. Strengthen the immune system. It's antioxidant and anti-bacterial properties can help improve digestive system and help you stay healthy and fight disease. Raw, organic honey is loaded with vitamins, minerals, and enzymes which protect the body from bacteria and boost the immune system. 2. Brain booster. The sweet nectar is loaded in antioxidants that may help prevent cellular damage and loss within the brain. The brain needs calcium in order to process thought and make decisions and honey has the ability to help the body absorb calcium. 3. Regulate blood sugar. Although honey is sweet, it has a fairly low glycemic index. The natural sugars in honey have a “slow-release” effect, which means it does not cause the sharp peak in blood sugar that other sweet substances (like refined sugar) do. The sugars in honey are therefore more slowly absorbed and metabolized. Despite its sweetness, honey will not cause blood sugar levels to spike as high or as fast as other high-sugar foods. 4. Prevent cancer and heart disease. Honey contains flavonoids and antioxidants which help reduce the risk of some cancers and heart disease. 5. Boosts energy. A healthy, whole-food diet and proper sleep is the best recipe for boundless energy, but if you're looking for a quick energy boost, such as before or after a workout, honey can suffice. 6. Helps digestion. Honey helps reduce constipation, bloating and gas, thanks to it being a mild laxative. Honey is also rich in probiotic or “friendly” bacteria such as bifido bacteria and lactobacilli, which aid in digestion, promote the health of the immune system, and reduce allergies. 7. Relieve morning sickness in pregnancy. 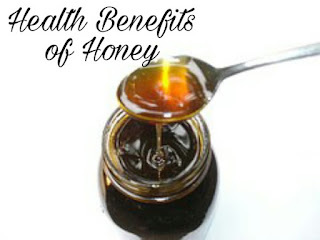 Organic honey is also effective in relieving morning sickness for pregnant mothers. A warm tea made with honey and ginger is highly effective at calming a pregnant mother’s tummy. 8. Sooth a cough or sore throat. Add honey to a glass of warm milk and sip slowly to help suppress a cough or soothe the throat. 9. Treat dandruff. 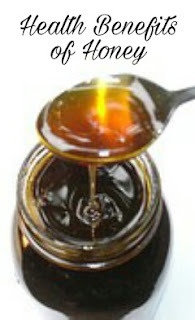 Honey diluted with a bit of warm water, every second day can significantly heal the scalp of dandruff and itching. 10. Clear skin. Milk and honey are often served together, since both of these ingredients help in creating smooth, beautiful skin. Consuming this combination every morning is a common practice in many countries for this very reason. 11. Lose weight. Though it has more calories than sugar when honey is consumed with warm water, it helps in digesting the fat stored in your body. Similarly, honey with lemon juice or cinnamon help in reducing weight. 12. Help you sleep. Mix a half glass of warm water with 2 tablespoons of honey and the juice of a lemon and an orange. The darker the honey, the better this works.